And here's Outfit #94, I'm so freaking close to 100 it's ridiculous! 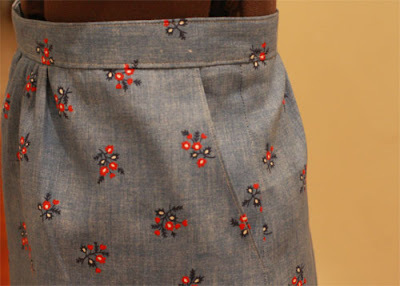 It's thicker denim, a leftover from a dress I made and listed on etsy once before. 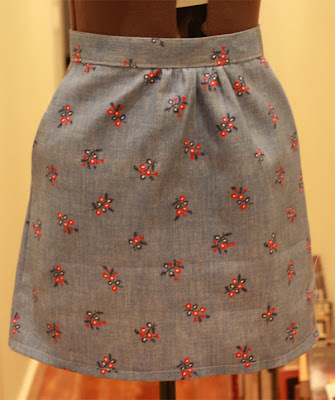 What I like about this skirt is the POCKETS. Yep! I actually don't have a lot of pockets in my things, so it's nice to try them out occasionally! It's all stash related onced again, and does up with a zipper at the back. NOICE! This is really cute. I love the shade of the fabric.